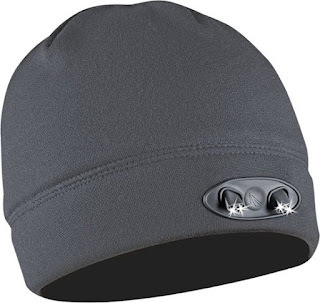 Today, April 15th only, Best Buy is offering up this Panther Vision POWERCAP LED Lighted Fleece Beanie for just $5.49 (Retail $21.99) – available in various colors/patterns! These beanies feature a moisture-wicking lining that keeps you warm and dry in cold weather! It also has dual-action LED lights that angle down to illuminate your hands while providing 72 feet of forward lighting. They provide up to 68 hours of light before you need to change the batteries and they are even washable!